Thanks for checking us out. We will be back with more information about Salon Fahrenheit soon! Welcome to one of the best shopping locations in Gulf Shores, Alabama. 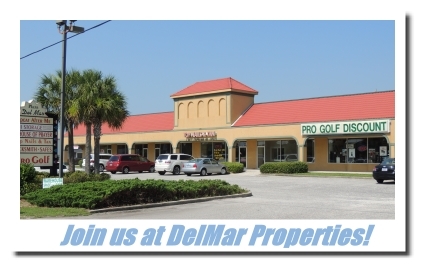 Our location at 3757 Gulf Shores Parkway in Gulf Shores, offers premium traffic count to your retail business or office environment. Our "easy to find" location is directly across the street from Publix, Target and the local movie theater. Join the great tenants already enjoying the wonderful reasons to locate your business in Gulf Shores. For more information about the businesses already located here, click the links in the column to the right! To view this map in Google maps, click here.